Shop with Lizzielane this Halloween and when you use discount code SPOOKY20 you can save 20% off everything, PLUS we’ll even ship your order for Free when you select UK Standard Delivery! To claim your Halloween Treats, make sure you enter SPOOKY20 where prompted on either the shopping cart or checkout page, but be quick – the discount code expires midnight on Halloween…. We’re so excited to introduce our brand new Katie Loxton Autumn/Winter ‘18 collection. This season their creations are filled with a little luxury and extra special sparkle, designed to see you through the festive season in style. 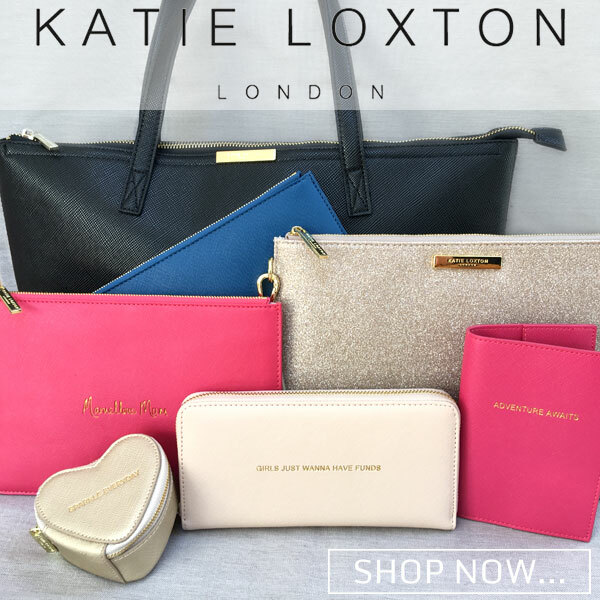 As always, everyone’s favourite Perfect Pouches are back with some brand new additions – this season Katei Loxton have introduced some that are more shimmery than ever before, designed to make sure you dazzle for every occasion! From small sweet accessories to statement bags, this season’s collection is filled with serious style. 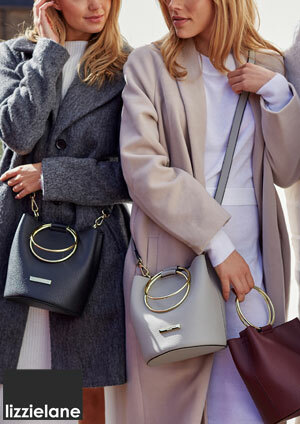 We love the brand new Suki bucket bag and we think it’s and an absolute must-have this season – finished with golden hoop handles for the ultimate small statement! Danon Jewellery from is most definitely one of our favourite collections and we’re not alone – Over recent years, Danon’s jewellery has become a must have brand in the UK. All jewellery from Danon is still created by their very own team of crafts-people with over 30 years of experience using silver, gold and bronze on pewter and specially treated to assure optimum lustre and durability. 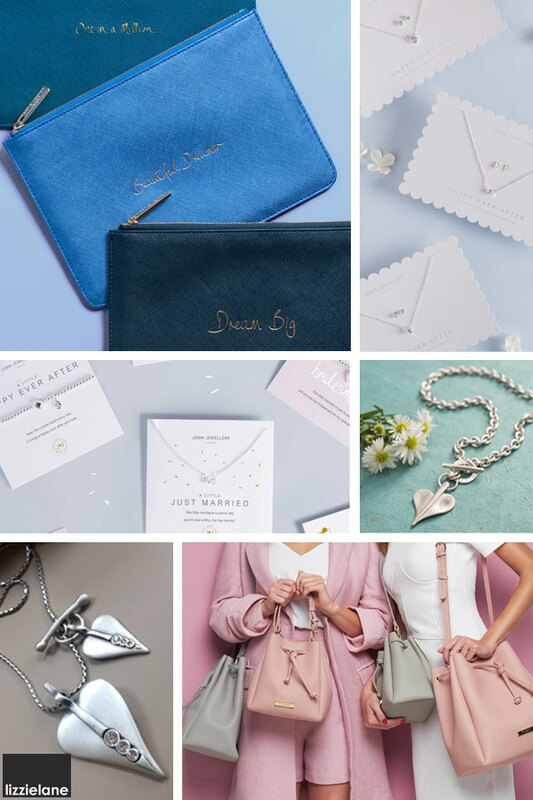 Launched in 2015, Katie Loxton is the gorgeous, new, self-titled fashion, gift and home accessories brand from the creator of one of our other favourite brands, Joma Jewellery. Just like Joma Jewellery, their philosophy is to offer an affordable collection of fun, sentimental and luxurious products. This oh-so chic brand loves to add a playful and optimistic, “happy-go-lucky” feel to every piece it creates. E & OE. Discount Codes are valid whilst stocks last. Discount Codes can be used together, but cannot be used with other offers, discounts, coupons or sale items. Other T&Cs apply which can be read here and here. 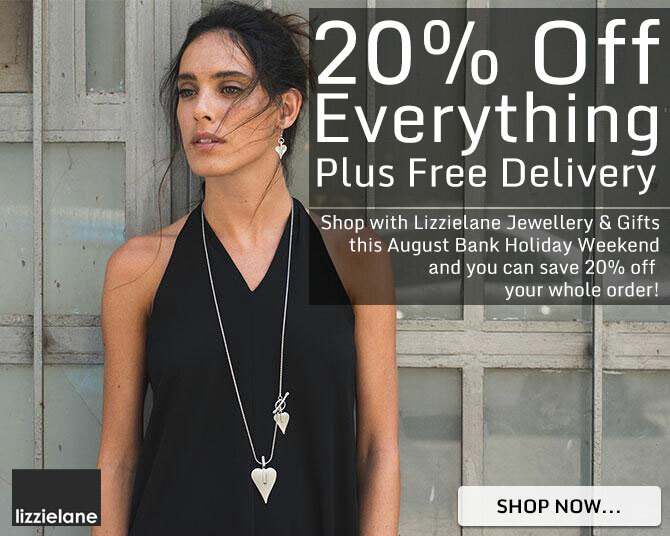 This Bank Holiday Weekend – 20% Discount on All Orders Plus Free Delivery! 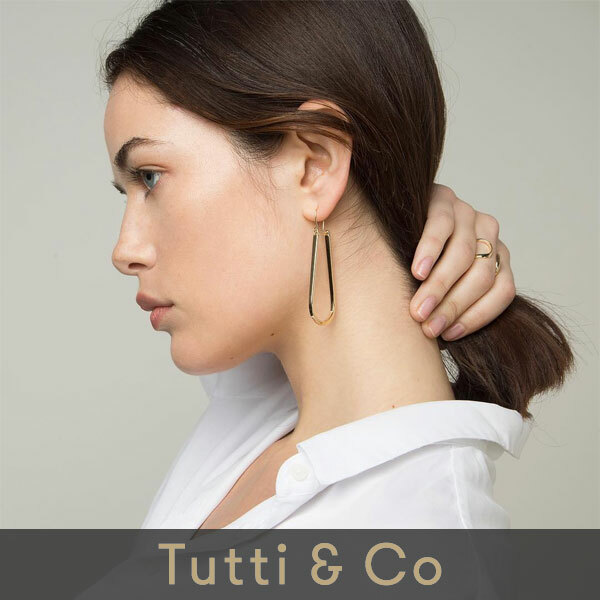 Shop any of our beautiful collections of jewellery, gifts and accessories from all of your favourite designers this August Bank Holiday Weekend and use discount code AUGUST18 to save 20% off your total order, PLUS we’ll even ship your order for Free when you select UK Standard Delivery! To claim your 20% discount, make sure you enter AUGUST18 where prompted on either the shopping cart or checkout page – and don’t forget, the discount code expires midnight on Monday…. Here at Lizzielane we’re so excited to introduce our brand new Joma Jewellery Spring Summer Collection.. 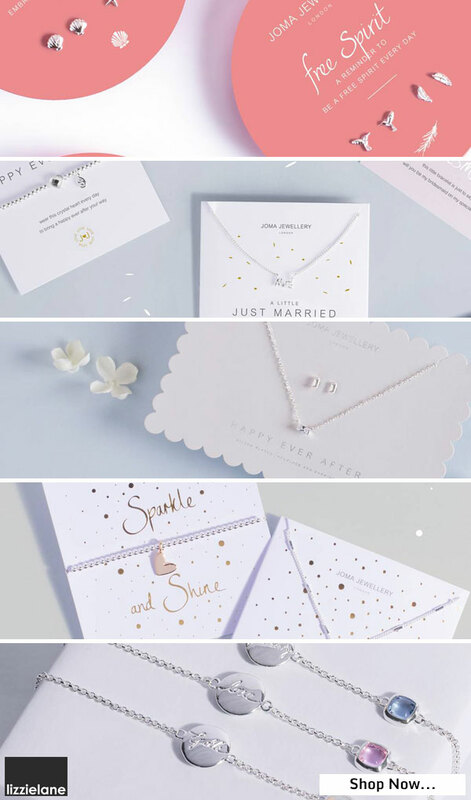 This season we see the introduction of a brand new carded bridal collection “Happy Ever After” which is filled with pieces to create your very own happy every after. We also love the the simple yet elegant Pretty Pebbles collection which are availble in glistening rose gold and silver – Perfect for everyday summer charm! The best selling Joma Jewellery a littles are back with some gorgeous new additions and as always make the perfect gift with their lovely sentiment message cards and beautfully designed jewellery. The layered look is proving to be more popular than ever and the new adjustable necklaces from Joma Jewellery introduce a gorgeous boho charm to create an effortless layered layed-back look. Stack high with Joma Jewellery’s new boho bangles to be the ultimate silver siren. Which is why each and every piece from our Katie Loxton collection makes the perfect gift or a tempting treat for yourself. This 20% Discount Code Offer is valid whilst stocks last for a limited period only. Prices valid whilst stocks last. E & OE. Cannot be used in conjunction with any other offer or discount. Other T&Cs apply visit https://www.lizzielane.com/discount-codes-terms-conditions/ for details. With Valentine’s Day less than a week away, it’s time to get organised if you haven’t already. If you’re short on ideas on what to buy your loved one, we’ve put together our best ever collection of Valentine’s Day Gift Ideas…And for those of us whose significant other needs a helping hand in selecting the ideal Valentine’s gift, why not send them a link to your favourite jewellery or gifts at Lizzielane? Shop the New Joma Jewellery SS18 Collection and Save 10% – This Weekend Only! Be the first to shop our Brand New collection of beautiful Joma Jewellery! We’re so excited to introduce our Spring Summer 18 collection from Joma Jewellery and we hope you love it as much as we do. Simply spend £20 or more on any Joma Jewellery and when you use code JOMASS18 at checkout or on the cart page, you will save 10% on all Joma items. We love what Joma have done with their latest jewellery collections and every piece makes the most special gift for yourself or for those that are special to you. Valentine’s Day is just around corner and here at Lizzielane we’re already feeling the Love! Treat that special someone to something they’ll truly cherish with a gift or two from our exciting Valentine’s Day Jewellery & Gift collection. 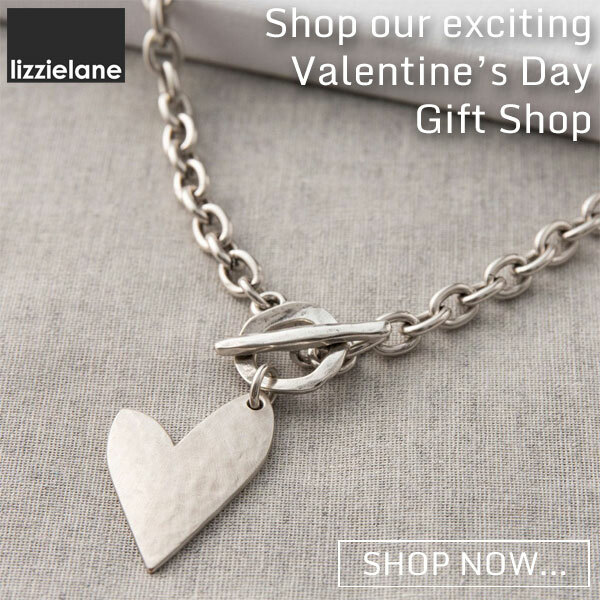 And if like me, you think some things are best not left to chance, then why not give your Valentine a little hint this Valentine’s Day by sending them a link to your favourite jewellery and gifts from Lizzielane? Whether you’ve only just met or been together forever, join us in celebrating your love with our beautiful collection of gift ideas from Danon, Hultquist, Joma Jewellery, Katie Loxton, Estella Bartlett, Hot Tomato, Tutti & Co and Sence Copenhagen.